from a Woodbridge Mortgage Lender. You like the yearly rent increase without an increase in services or amenities. You enjoy white boring walls with no chance to express yourself through decorating. I recently had a client that wanted to buy a home, so she could paint her walls pink. Not my favorite choice, but it's her own home and she is free to decorate as she sees fit. If you don't fit any of the above criteria, then the time to buy a home is NOW. Worried can you afford it run our Rent vs. Buy calculator and see if renting is good. Worried about your credit score....send us an email at markita@weststarmortgage.com with the subject line Get Mortgage Ready. Or just pick up the phone and call 703-497-3936 for you rent versus buy consultation and plan. Oooh, Markita, you hit 'em where it hurt. Good for you! Way to get a point across! KUDOS for telling it like it is...so many agents who only say BUY, BUY, BUY and missing the boat with working with INVESTORS because of the HOT rental market! Hey Terri sometimes the truth hurts! Wallace that is a nice spin, Investors have to buy homes for people to rent. Hey Markita- great blog today! Today I just spoke with a incoming military personel. They know they will only be in the area for two years. Then it is smart to rent, unless you know you will return to DC at some point in your career. If that were a possibility, I beg you to speak with several others who have purchased homes and kept them as a rental in the Northern Virginia area. All these military bases keep the rental market strong here. Interest rates are historically low. Ask yourself, is renting the right thing to do? 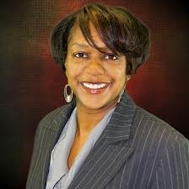 Talk to a good local loan officer like Markita who can coach you and guide you. Then call a good local REALTOR in the area you are looking to move to. Hi Markita. You hit a Home Run with this post. Renting is not for everyone, and have pointed out some nice reasons To Rent(LOL).